So there were no daily posts last week since I am still deciding on the best way to upload from phone. I covered around 3000 Kms over one and a half days - on flight and car. 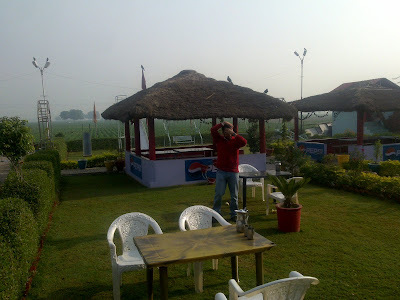 Was awesomely impressed by the condition of roads nearer home, and was very happy to eat on a road-sidedhaba again. I did take some pics, and here they are.